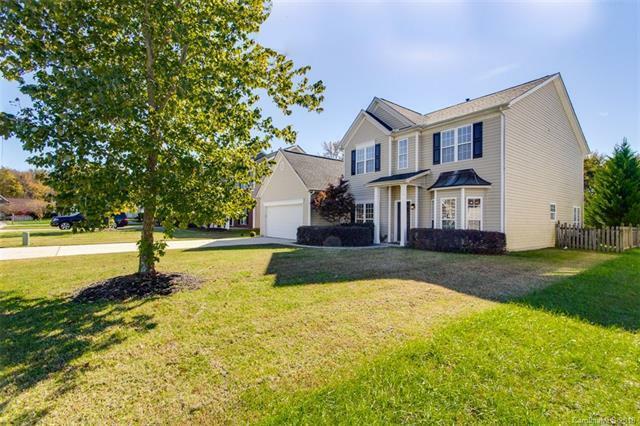 Move-In Ready 4 bedroom, 2.5 bath North Charlotte home features a Large Master Bedroom on the main level! New Roof (2017), New HVAC downstairs (2015), New Whirlpool Microwave (2018), Newer Dishwasher (2012). Open floor plan with beautiful wood floors on main level. Kitchen w/ island and abundant cabinetry and countertop space! Tray ceiling in first floor Owner's Suite. Garden tub w/ separate shower and dual vanities in Owner's Bath. Large walk-in closet (approx. 17 ft deep)! 3 Spacious secondary bedrooms upstairs. Large bonus room w/ french doors. Large, level, fenced yard w/ enlarged patio! Conveniently located minutes from UNCC and I-485. Clean, bright, open, airy! Expect to be impressed!